Another four books in two weeks. Here's what I read. GILDED CAGE by Vic James. My local librarian recommended this one to me. I thought the premise was super interesting, and the world building excellent. There was a romance subplot that was very minor but felt very sudden to me, which I didn't like, and there were a lot of POVs going on, but otherwise I enjoyed the book. Not sure if I'll pick up the next in the series though. CHILDREN OF BLOOD AND BONE by Tomi Adeyemi. A lot of hype around this book and it totally lived up. It was a tad long, but that's my only complaint. Excellent characters, compelling world, and I loved the underlying message. THE SECRET OF THE INDIA ORCHID by Nancy Campbell Allen. Despite the title really having nothing to do with the book at all (I mean...? ), this was another great historical by Allen. She has a way with sweet historical romances and I've enjoyed every one I've read so far. 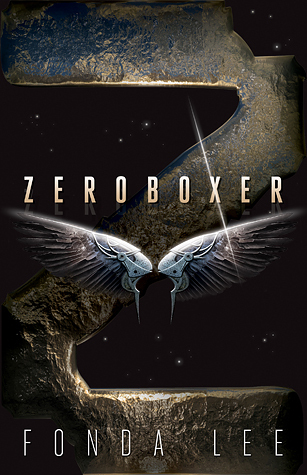 ZEROBOXER by Fonda Lee. I've seen Fonda Lee speak at When Words Collide multiple times. This last conference, I decided to finally pick up one of her books. Sci-fi isn't my fave genre, and I've never been into MMA, but I found myself really getting into this book and rooting for Carr and his fights. Man, can Lee write a fight scene! So... super vague thoughts on these books but what can I say? They were all solid reads.